Renewable energy conversion is an important chemical problem for society and the environment. The efficient conversion of electrical energy into carbon-neutral chemical fuels is essential for the clean energy economy of the future. 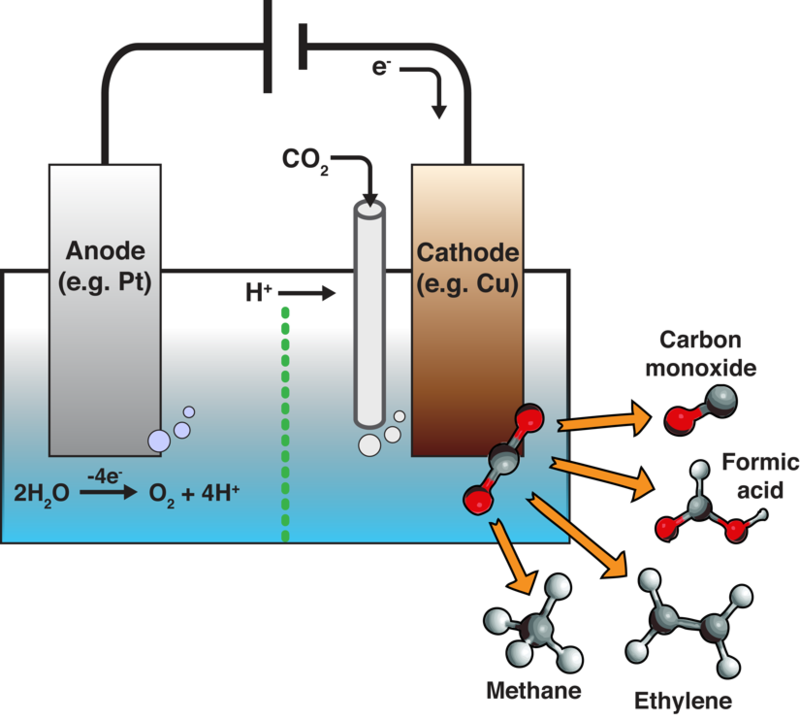 We are interested in studying the mechanisms of energy conversion reactions such as electrochemical CO2 reduction; not only is this a highly important reaction for energy conversion, but the reaction mechanism is also highly complicated. We are developing and applying new theoretical methods to understand this chemistry, which will lead to new design principles for developing more efficient and selective catalysts.